Just when we thought we were getting burned out on titles set in ancient Egypt, NetEnt swings around and makes us fall in love with the theme all over again. 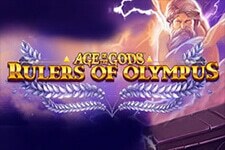 The game draws inspiration from the mythology of old Egypt and pairs it with the mouth-watering graphics the developer is well known for – the lightning, the small visual effects, the soundtrack – it all comes together to create an amazing experience. 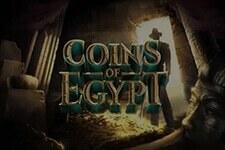 Coins of Egypt is a 5-reel video slot with 20 fixed paylines. Available for both mobile and desktop devices alike, the title has a few bonuses to keep people interested. 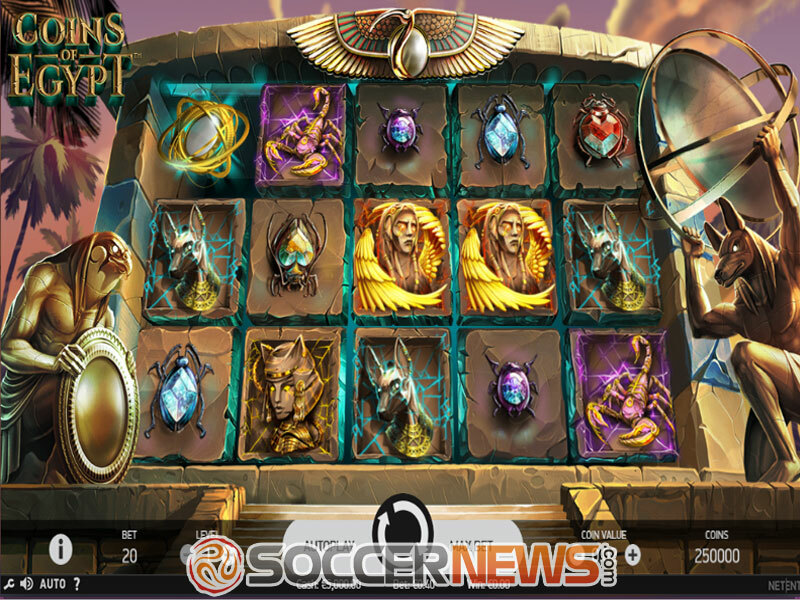 Collecting Pharaoh Coins during normal gameplay which have a cash prize attached to them. And yet, they only pay their cash prize once you find a collect symbol on the fifth reel. 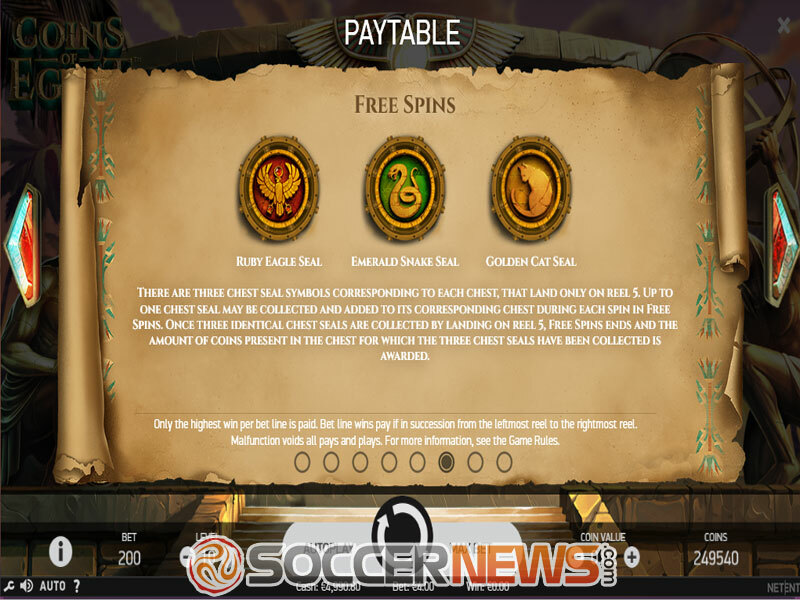 On top of that, you also have a free spins bonus with different chests. Before you go and start chasing after the many coins you can find, make sure you’re well prepared and budgeting accordingly as you’ll want your session to last for a little while to maximize your wins. The coin denominations range from $0.01 up to $1, with the lowest wager being $0.20 and the maximum bet being $200 per spin. The symbols which you can find are entirely devoid of any playing card symbols, which we quite liked. 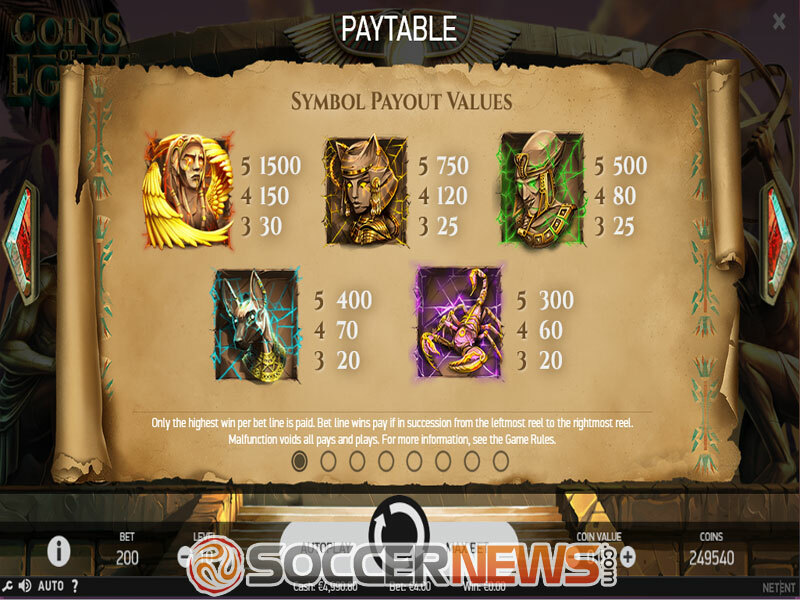 You have five different scarab beetles serving as lower paying icons, and then a scorpion, Anubis, Wadjet, Bastet and Isis as higher paying symbols. A golden plated scarab beetle is Wild which replaces all symbols except for Scatters, Chest Seal and Collect. 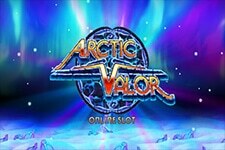 Free spins are triggered when you collect three Scatters on the first, third and fifth reel at the same time. At the beginning of the feature, the total value of all coins present on the reels is added to each chest. Up to three coins can appear on the first, second and third reel during each spin, and if they do, their value is immediately added to their respective chest. Each chest has its own corresponding seal symbol which can only appear on the fifth reel. Collecting three of the same chest seal symbol will end free spins and award the prize within that chest. The coins themselves can also make an appearance during normal gameplay. They have a value between 2x to 15x the wager. 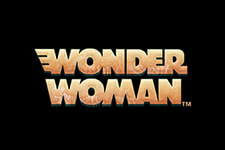 They are collected and added to a growing pile of wealth that the player can access when a collect symbol appears on the fifth reel, and their wins are added on top of any wins the player received in the current round. 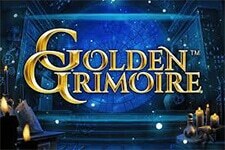 The game is a low to medium variance offering with an RTP of 96.97%, which is far higher than most video slots. 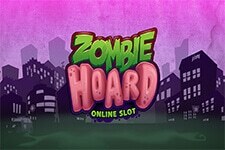 Collect the coins and win grand prizes. 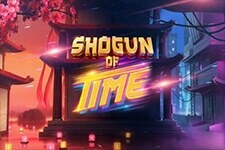 Win a jackpot worth 274.5x the wager. "While it’s a visually stunning affair, we have to admit we felt it lacking in the gameplay department. The coins mechanic certainly tries to step out of what we were used to, but it didn’t really pan out this time. We can recommend giving it a try if you’re curious to see how it works, but we’re not sure if we’d recommend spending a lot of time playing it."